A software program by Adobe that creates and reads .pdf (portable document format) files. The first testing stage of a new program. The alpha stage occurs before a program becomes a beta version. A synonym for a hyperlink. A way of logging on to servers as a guest, which gives you limited access to that server. Many FTP sites allow you to login anonymously in order to download files. Directories or files requiring a secure User ID and Password will not be accessible. A tool used for searching FTP sites for various program files. A group of files compressed into a single file, which is then used for storage or transfer. Common archive types include .zip and .tar. Internet sites that house files for its users to download. American Standard Code for Information Interchange. This is the basic clear-text Latin characters. There are 128 standard ASCII codes, each of which can be represented by a 7 digit binary number: 0000000 through 1111111. Asymmetric Digital Subscriber Line. Delivers and receives information on current telephone lines at higher bandwidth speeds. ADSL is a new form of Internet connection rapidly growing in the US. Permission set on a file (such as read/write/execute) to allow certain rights to groups, owners, and public users of that file, i.e. .cgi, .pl, class files. This is done through a telnet or FTP session. The "baud rate" of a modem is how many bits it can send or receive per second. Your modem uses this measurement to tell you what speed you are connected at or transferring. Bulletin Board System. A computer that allowed users to dial-up and connect from remote computers and acted as a central meeting place to chat or play games. The Internet has largely replaced the BBS. BBSes were generally run from someone's home PC that had a few phone lines hooked up to it. The second stage a software program goes through before a final is released. Software undergoes rigorous testing until it is ready to be released. A numeric system that represents all numbers using only two digits: 1 and 0. The basic unit of information in a binary numbering system. A computer detects the difference between two states (high current and low current) and represents these two states as one of two numbers (1 or 0). Bitmap. A proprietary Microsoft Windows image format. This file format cannot be used on a Web page. The range of frequencies a channel can carry. The higher the frequency, the higher the bandwidth and the greater the capacity of a channel. In Internet terms, higher bandwidth means a higher ability to transmit and receive data. Bits per second. The amount of data that can be transmitted over a digital line. A program used to view, download, upload, surf or otherwise access documents (pages) on the World Wide Web. Popular Web browsers include Netscape and Internet Explorer. A series of 8 bits, which represent a single character. Common Gateway Interface. The standard for running programs on a server from a Web page. Cgi files are commonly used for form submission, guestbooks, Web-based games and more. A remote computer connected to a host or server computer. Also refers to the software that makes this connection possible, such as an FTP client. Central Processing Unit. Simply put, it's the main processor of a computer that makes everything work. Domain Name Server. Specific software that runs on a server and resolves domain names to actual IP addresses. Nodes communicate with each other using IP addresses rather than domain names, though users may never see the actual IP addresses being used. The "address" or URL of a particular Web site. You can register your own domain name at www.networksolutions.com. COM - An Internet domain used for business or commercial ventures. EDU - An Internet domain used for educational facilities. GOV - An Internet domain used by the government. MIL - An Internet domain used by the military. NET - An Internet domain used for network businesses. ORG - An Internet domain used for non-profit organizations. A command line operating system that Windows runs on top of. Bill Gates created DOS while working for IBM. To copy a file from a remote computer to your computer. There are a few methods of doing this on the Internet. HTTP, FTP and e-mail attachments are the most common. Electronically transmitted mail. E-mail sends your correspondence instantaneously anywhere in the world via the Internet. It is the most popular use of the Internet because of the capability to send messages at anytime, to anyone for less money than it would cost to mail a letter or call someone on the phone. One of the most common local area network (LAN) wiring schemes, Ethernet has a transmission rate of 10 megabits per second; a newer standard called Fast Ethernet will carry 100 megabits per second. Frequently Asked Questions. A list of questions and answers related to a newsgroup, software, Web site, etc. A way of hiding certain file types by their file names or extensions. Software that allows you find out more information about an Internet user, such as their real name and if they are logged in at the present moment. A firewall is a safeguard utilized by many Local Area Networks (LANs) or Wide Area Networks (WANs) to protect the network from unauthorized access from the outside. They are basically gates that verify the users before they leave or enter the network by way of a User ID, Password or IP address. File Transfer Protocol. A standard protocol for transferring files between remote computer systems. Until recently, it was used almost exclusively on UNIX workstations and mainframes, but after PC users gained access to the Internet it became a popular alternative to BBS systems. The biggest limitation was that FTP-compliant software usually used a command line interface, which wasn't easy for beginners to work with. As the Internet grew in popularity, new standards appeared (Gopher, WWW), providing more user-friendly front-end software. FTP, however, still remains the popular choice among power users and computer professionals. A computer system for exchanging information across incompatible networks that use different protocols. For example, many commercial services have e-mail gateways for sending messages to Internet addresses. Graphics Interchange Format. A graphics format developed by CompuServe using compression technology from Unisys. GIFs are common on Web pages due to their small size. A billion bytes. A thousand megabytes. An Internet server document browsing and searching system that lets you search and retrieve texts on the Internet. Gopher has since been surpassed by the World Wide Web. Graphical User Interface. A software front-end meant to provide an attractive and easy-to-use interface between a computer user and an application. CuteFTP is a GUI FTP Client. A computer that is setup to allow connections from other machines (known as clients). The Internet IP Address or hostname of a remote server. Hypertext Markup Language. The language used to create and design Web sites. HTML is a standard text file with specific tags that a browser reads and interprets into a Web page. Hypertext Transfer Protocol. A protocol that your Web browser uses to connect to and receive data from Web servers. A system of writing and displaying text that enables the text to be linked in multiple ways, to be available at several levels of detail, and to contain links to related documents. The text you find on a Web site which can be "clicked on" with a mouse, which in turn will take you to another Web page or a different area of the same Web page. Image Maps are user-defined areas of an image, also known as hot spots, which move a user from an image to an associated URL or page within a URL when clicked. Images may have more than one defined area; each with its own associated URL. The top of this page features an image map. Originally designed by the U.S. Defense Department so that a communication signal could withstand a nuclear war and serve military institutions worldwide, the Internet was first known as the ARPAnet. The Internet is system of linked computer networks, international in scope, that facilitates data communication services such as remote login, file transfer, electronic mail and newsgroups. The Internet is a way of connecting existing computer networks that greatly extends the reach of each participating system. A private network inside a company or organization that uses the same types of software that you would find on the public Internet, but is only for internal use. Internet Protocol Address. A numeric address that is given to servers and users connected to the Internet. Internet Relay Chat. A live chat area of the Internet in which real-time conversations among two or more people take place via special software. Each specific IRC channel begins with a # and is dedicated to a different area of interest. IRC is considered another part of the technology of the Internet the same way FTP, Telnet and the Web are. Integrated Services Digital Network. Provides a fast, commercially available link to the Internet. ISDN is a set of communications standards allowing a single wire or optical fiber to carry voice, digital network services and video. Internet Service Provider. A company that provides access to the Internet. Before you can connect to the Internet you must first establish an account with an ISP. Developed by Sun Microsystems, Java is a programming language that is specifically designed for writing programs that can be safely downloaded to your computer through the Internet. Using small Java programs (Applets), Web pages can include functions such as animations, calculators, and other fancy tricks. Joint Photographic Experts Group. A compressed graphics format for images. Jpegs can be used on the World Wide Web. A thousand bytes. Actually, usually 1024 (2^10) bytes. Local Area Network. A network that connects computers in a small pre-determined area (like a room, a building, or a set of buildings). LAN's can also be connected to each other via telephone lines or radio waves. Workstations and personal computers in an office are commonly connected to each other with a LAN. This allows them to have send/receive files and/or have access to the files and data. Each computer connected to a LAN is called a node. A freeware version of Unix, Linux is becoming popular as a powerful, low-cost operating system for running servers. A software program for setting up and maintaining e-mail discussion groups. Multipurpose Internet Mail Extensions. A protocol for Internet e-mail that enables the transmission of non-text data such as graphics, audio, video and other binary types of files. MOdulator, DEModulator. A device that connects your computer to a phone line in order to communicate with other computers. MPEG Layer 3. An new standard for audio compression. It is capable of 10:1 compression with no noticeable loss in quality. MP3s have become a popular way to distribute CD quality music on the Internet. Motion Picture Experts Group. A type of audio/video (multimedia) file format, which is popular on the Internet. Maximum Transmission Unit. The greatest amount of data or "packet" size that can be transferred in one physical frame on a network. This packet also contains the header and trailer information, which are like addresses for each packet that are required by the routers on the network. Multi-User Dungeon or Dimension. A usually text-based, multi-user simulation environment. Some are purely for fun and game playing, while others are used for serious software development, education purposes, and all that lies in between. A significant feature of most MUDs is that users can create things that stay after they leave and which other users can interact with in their absence, thus allowing a "world" to be built gradually and collectively. A discussion forum found on USENET. A single machine on a network. Operating System. The basic software that makes a computer run. An OS schedules tasks, allocates storage, handles the interface to peripheral hardware and presents a default interface to the user when no application program is running. The unit of data sent across a network. A UNIX-based scripting language that is often used on the World Wide Web. When you submit a complex form from your browser window, for example, a Perl script may handle the processing of the information. Perl scripts usually end in the extension .pl. Post Office Protocol. The protocol used by mail clients to retrieve messages from a mail server. A place where information goes into or out of a computer. Point-to-Point Protocol. Communication protocol used over serial lines to support Internet connectivity. A specification that describes how computers will talk to each other on a network. A technique used to cache information on a Web server and acts as an intermediary between a Web client and that Web server. This is common for an ISP especially if they have a slow link to the Internet. 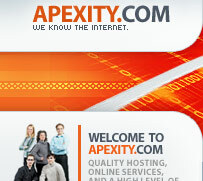 Proxy servers are also constructs that allow direct Internet access from behind a firewall. They open a socket on the server, and allow communication via that socket to the Internet. For example, if your computer is inside a protected network, and you want to browse the Web using Netscape, you would set up a proxy server on a firewall. A waiting area for files, print jobs, messages, or anything else being sent from one computer or device to another. In CuteFTP, for instance, you can put files in the queue, and transfer them all at once at another time. (Request for Comments). The name of the result and the process for creating a standard on the Internet. A new standard is proposed and published as a "Request For Comments." If the standard is established, the reference number/name for the standard retains the acronym "RFC." For example, the official standard for FTP is RFC 959. A computer on a network that answers requests for information, such as Web servers, FTP servers and secure servers. The term server is also used to refer to the software that makes serving information possible. The file extension for Web pages that contain server side includes (SSIs). (Simple Mail Transfer Protocol) The standard Internet protocol for transferring electronic mail messages. Also called wanderers or robots (bots), spiders are programs that search the Internet for new, publicly accessible resources such as Web pages and files in public FTP archives. Spiders contribute their discoveries to a database, which Internet users can search by using search engines such as Lycos or WebCrawler. (Structured Query Language). The standardized query language for requesting information from a database. A packet-based binary protocol that provides encrypted connections to remote hosts or servers. (Server side includes). A type of HTML comment that directs the Web server to dynamically generate data for the Web page upon request. A tag is a type of instruction used in HTML that browsers interpret when viewing a Web page. A pair of brackets generally surrounds tags (<>). A file compression format generally found on UNIX platforms. (Transmission Control Protocol/Internet Protocol). A set of protocols that make TELNET, FTP, e-mail, and other services possible among computers that aren't on the same network. A text-based Internet program used for connecting to a remote host or server. The tilde (~) signifies an individual user's Web site when housed on a server. For example, http://www.cuteftp.com/~user - says that user is a cuteftp.com user and that his homepage is on cuteftp.com's server. The tilde character is on the top line of your keyboard to the far left. An operating system invented in 1969 at AT&T Bell Laboratories that was made available to researchers and students in 1973. It was used to develop the Internet's communication software protocols. This represents a small change to a program. Denoted as a change in the right-side digit of a version number (ex: version 3.0 to 3.1). This represents a large change to a program. Denoted as a change in the left-side digit of a version number (ex: version 3.0 to 4.0.). To copy a file from your computer to a remote server, the reverse process of download. An Internet-based bulletin board that allows reading and posting of "news" in various "newsgroups." There are thousands of newsgroups covering a myriad of topics. A method for converting binary information into ASCII text. It can be used for posting to Usenet and or e-mailing with non-MIME compliant mail readers. A program which replicates itself on computer systems by incorporating itself into other programs that are shared among computer systems. Viruses vary, and can be harmless or completely debilitating to a computer system. Virtual Reality Modeling Language. An open, extensible, industry-standard scene description language for 3-D scenes, or worlds, on the Internet. With VRML and certain software tools, you can create and view distributed, interactive 3-D worlds that are rich with text, images, animation, sound, music and video. Wide Area Information Server. A client-server information system that let's users search through databases with a single user interface. Wide Area Network. A network that connects computers over a large geographic area. Widely used to denote cracked or pirate versions of commercial software. In other words, illegal pirated software. A means of looking up names in a remote database. Used initially as an aid for finding e-mail addresses for people at large institutions or companies. A character string that is used in text searches to make finding a match easier. An asterisk (*) usually means find any character or set of characters. The Microsoft Windows Operating system, which runs on DOS-based PCs. Windows Sockets. A technical specification that defines a standard interface between a Windows TCP/IP client application (such as an FTP client or a Gopher client) and the underlying TCP/IP protocol stack. The nomenclature is based on the Sockets applications programming interface model used in Berkeley UNIX for communications between programs. Created in 1989 at a research institute in Switzerland, the Web relies upon the hypertext transport protocol (http), an Internet standard that specifies how an application can locate and acquire resources stored on another computer on the Internet. Most Web documents are created using hypertext markup language (html), an easy to learn coding system for WWW documents. eXtensible Markup Language. A programming language/specification developed by the W3C. XML is a pared-down version of SGML, designed especially for Web documents. It enables Web authors and designers to create their own customized tags to provide functionality not available with HTML. A Microsoft Windows based compressed (archive) file. Can contain one or many files as well as a directory structure. On the Internet, large graphics and programs are usually compressed into ZIP files and then made available for download. After you download this file you need to use a decompression software program to "unzip" the file.